What is the purpose of the International Students Representative? 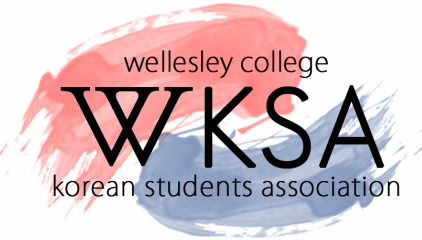 Wellesley KSA is a continually growing organization that has had a goal of becoming more inclusive. Over the years, KSA has realized that while Korean culture is a central bond between Korean-Americans and Korean-Internationals, we have also realized that it has become a huge barrier as well. The cultural differences between Korean-Americans and Korean-Internationals are great, which is why the International Students Representative position was added as an executive board position. This position acts as a voice for the International Students, so that we as KSA may be more aware of their opinions while planning and organizing our events. Although the position began mainly as an internal necessity, it has also become of external importance. Because Wellesley College is a small college located outside of Boston, our interaction with students from other colleges in the Boston area are limited. For this purpose, Wellesley KSA has joined BKLA (Boston Korea Leaders Association) and GLA (Global Leaders Association). While BKLA is an organization based in Boston, GLA is a global organization. Our participation in both organizations has helped us become a part of not only the Boston Korean community, but the global Korean community. We hope to further enhance our participation and to create a comfortable home for our international students while they are at Wellesley. This year, our International Students Representative, Jennie Kim, hosted a first-year welcoming dinner in Seoul, South Korea at Miu Miu. There, incoming first-years were given the opportunity to meet and connect with Wellesley students. This event was held in order to help first-years ease the transition into Wellesley and create relationships with upperclasswomen. Founded in 2011, The Boston Korean Leaders Association (BKLA) is an organization made up of Wellesley College, Tufts University, University of Massachussetts Boston, Boston University, Boston College, Northeastern University, Brandeis University, Babson University, and MIT. Together, we work to create a more socially friendly and welcoming environment for Korean students, both Korean-Americans and Korean-Internationals. In order to do this, we hold events throughout the academic years with the combined efforts of all eight schools. Meetings also take place monthly with the mandatory attendance of the Presidents and International Reps of every individual KSA. Created in 2010, the Global Leaders Association (GLA) is an organization made up of Wellesley College, Boston University, Carnegie Mellon University, Emory University, State University of New York-Buffalo, University of California, Los Angeles (UCLA), University of Michigan-Ann Arbor, University of Rochester, andUniversity of Wisconsin-Madison. While BKLA is an organization based solely in Boston, GLA functions (as its name indicates) a more global network between Korean-International students attending colleges/universities outside of South Korea. Through this, many Koreans can meet other Koreans with whom they may seek advice, friendship, help, or any other kind of communication. 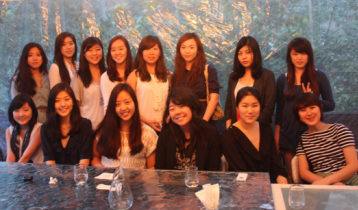 This summer, The Wellesley College Korean Students Association hosted our annual First Year Welcoming Dinner (신입생 환영회) in Seoul, South Korea for the incoming Korean International students of the Class of 2015. About 10 first years and 20 returning students attended this event. Even though there were many students who could not make this event, it was meaningful to meet and greet the new Korean International students and reconnect with old friends.